The literary excellence of the Koran: how is this miraculous? 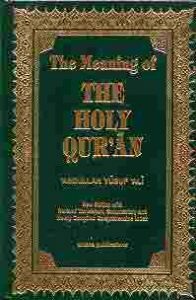 Jesus-Islam » The Koran » The literary excellence of the Koran: how is this miraculous? One of the profound beliefs of devout Muslims is that the excellence of the Koran is without equal in its literary perfection. This has to be true, it is said, because it is an expression of Allah, the word of God on earth, and also because the Koran asserts it. Or do they say (about the Prophet), “He invented it?” Say, “Then bring forth a surah like it and call (for assistance) from whomever you can besides Allah, if you should be truthful.” (Koran 10:38-39). Say, “If mankind and the jinn gathered in order to produce the like of this Koran, they could not produce the like of it, even if they were to be each other’s assistants.” (Koran 17.88). According to Muslims, this challenge was launched against the sceptical Arabs who were experts in poetry. They have, it is then affirmed, never been able to produce anything as excellent and as convincing as the Koran. So the challenge remains. Does it really have no equal? Is it really superior in quality to anything else? A striking finding is that the way the Koran defends its own inspiration, challenge others to produce a similar revelation. This, of course, something virtually impossible to evaluate. These are those passages from the prophet David and the Injil. Read them here and see how beautiful they are as literature. but then I shall know just as I also am known. Shocked by his insolent assertion, I replied that Psalm 23 and 1 Corinthians 13 were not at all of the same calibre as the Koran, but he merely said that he did not agree with me, and that Psalm 23 was one of the most powerful texts ever written, and, in any case, far more powerfully moving than anything he had ever read in the Koran. I then took a step back to re-evaluate the issue. I began to think that maybe it was the Arabic language of the Koran that was at the heart of my opinion that the language of the Koran was unequalled. Perhaps the splendour was not in translations or the non-Arabic interpretations. I had to ask whether this meant that the beauty of the words would be limited to Arabic speakers. 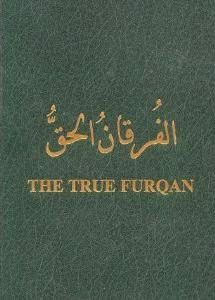 The people who had undertaken to respond to the challenge of the Koran to write something equally glorious, if they could, had already composed, in Arabic, a book of Christian teachings called Furqan al-Haqq, “True Discernment.” They had included many teachings relating to the Psalms, writing them in the style of the Koran. The results were so convincing that when they read the text aloud, chanting it in the Koranic way, in the Arab-Muslim cities. Many of those who passed by heard this reading and, believing that it was the Koran, thanked those who read. Obviously, the beauty of the poetry in the Arabic language made them think it was the Koran, but it wasn’t. In searching the internet, I found Muslim apologists arguing that the Arabs, who had misunderstood the Furqan al-Haqq, were probably uneducated, so they had not grasped the sublime beauty of the Koran. An expert in Arabic would find the text of the Koran without equal. It was then that I discovered the evaluation of a scholar, Gerd Puin, an expert in the spelling of Arabic Koranic. Puin argued that “about one sentence in five simply does not make sense.”  In order to defend his assertion Puin adds: “Many Muslims and Orientalists will make say differently, of course, but the fact is that a fifth of the Koranic text is simply incomprehensible. To this the Muslim apologists replied that Gerd Puin was not Arabic-speaking; The Koran had to be assessed by an Arabic expert, who was himself Arab and whose mother tongue was Arabic. Each time, it seemed that the test was redefined in order to escape scrutiny. Who can say if one literary composition is more excellent than another? What criteria shall we use? The Koran presents the challenge, but gives not way of testing the outcome. But there is one more vital issue to address. Even if it could been proven that the Koran was the most excellent writing that humanity has ever seen, it does not mean that it is inspired. Stradivarius (1644-1737) is reputed to have made the most perfect acoustic violins the world has ever heard. Even with our modern technology, we have not even been able to reproduce it so perfectly. If he had pretended that his violins had been made by God, offering proof of their incomparable quality, we would have thought that he was a madman or a liar. In what way does an excellent product prove its divine origin? That is why the literary excellence of the Koran must be considered as an inadequate test – it is by no means convincing for non-Muslims. This is a test which is completely incapable of convincing any objective investigator. It reminds me of something I once heard said, “My mind is made up. Don’t bother me with the facts.” It is too easy for a person who accepts the Koran is inspired to state it is superior to any other written work, or that no ordinary human could produce anything to even equal it. They have a personal bias to believe it. Of course, it is true the other way round as well. However, all this does is prove the point. The beauty of any written work is no proof that it is inspired by God, even where it claims to be.